I can’t go through the holiday season without indulging in eggnog! 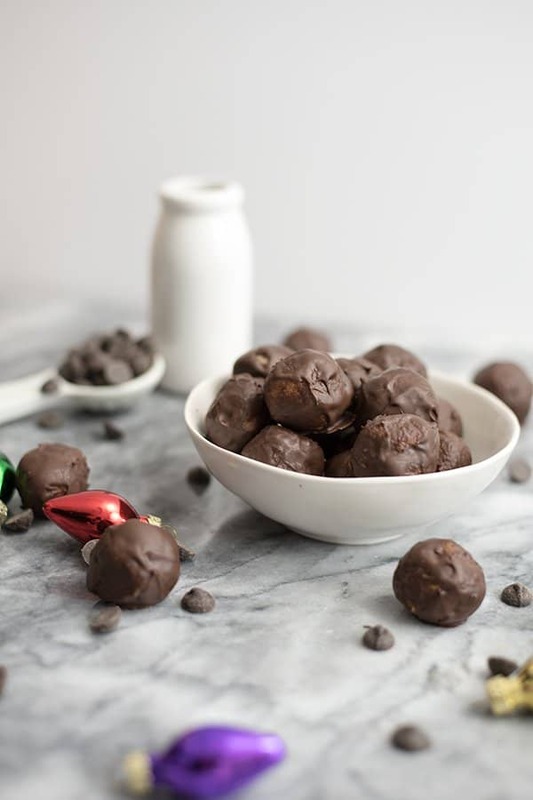 These best ever no bake eggnog truffles are the perfect way to get my eggnog fix! They are dairy free, gluten free, grain free and paleo with a vegan option! And they could not be easier to make! All you need is your food processor and a few simple ingredients! I am one of those people that stalk the grocery store shelves for eggnog right around Thanksgiving. Please tell me I’m not alone on this obsession! I love to make homemade eggnog lattes using dairy free eggnog like Good Karma Brand Holiday Nog (made with flax milk). There are also almond milk and coconut milk brands that are also super yummy! The eggnog latte’s I make at home always puts a smile on my face, since they remind me of an amazing trip I took with one of my best girlfriends to Seattle. That eggnog latte was one of the best I’ve ever had and I wanted to try to recreate that feeling with a holiday cookie! 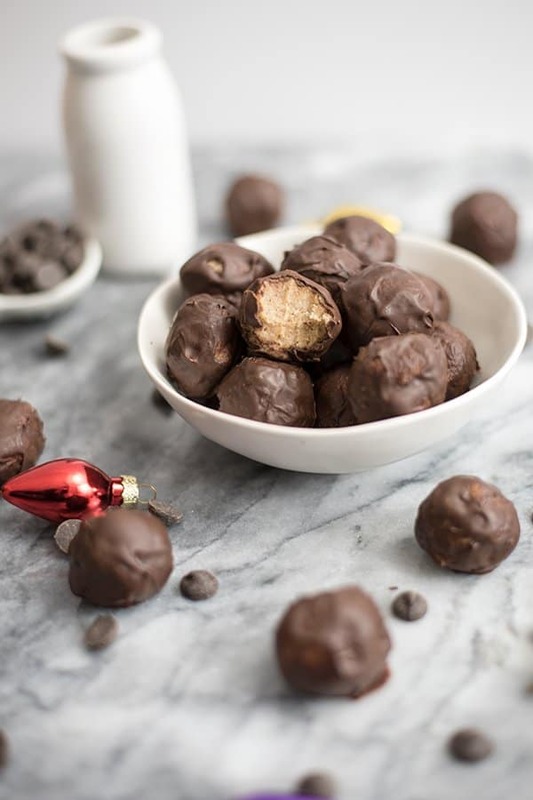 That where I got the idea for these no bake eggnog truffles! I mean what is better than a truffle around the holidays? And my favorite eggnog flavor paired with chocolate = heaven! 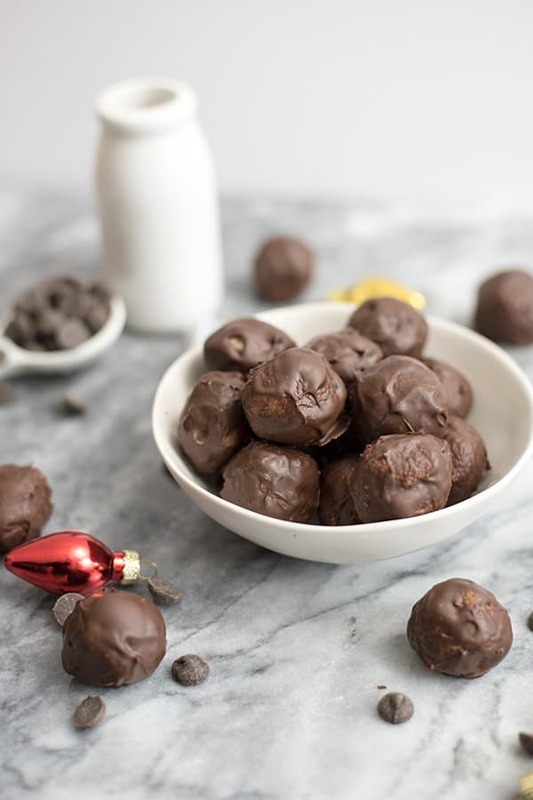 These no bake eggnog truffles are super simple, nothing crazy here! Just dates and dairy free eggnog combined with coconut butter (my favorite) and a little coconut flour! Seriously these are so simple to make, even the kiddos can help! If you have a family member who you know loves eggnog, you have to make these eggnog truffles for them! They are also perfect for those holiday get togethers where you don’t really have time to bake cookies! 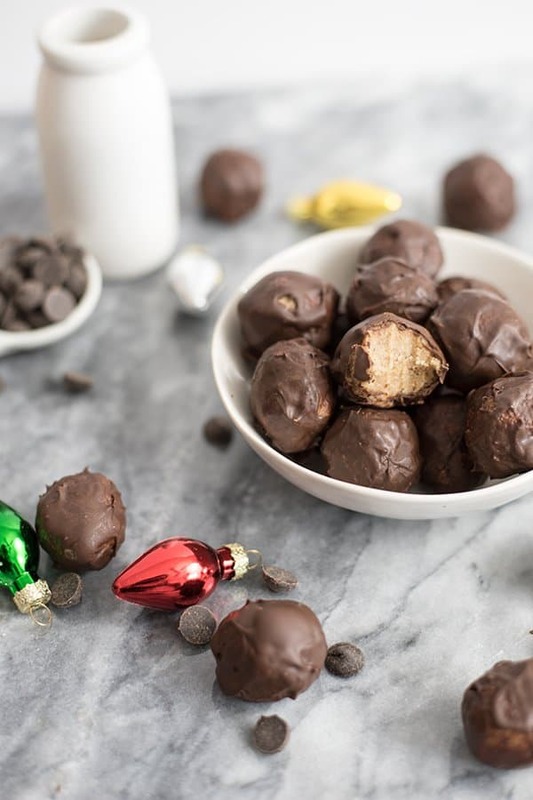 These truffles can hang out in the freezer for a week or more, just make sure you give them time to defrost in the fridge (15 minutes or so) or they might be a little hard to bite into! These truffles are the perfect size, where you won’t feel guilty for popping 2-3 in your mouth over the course of the night! 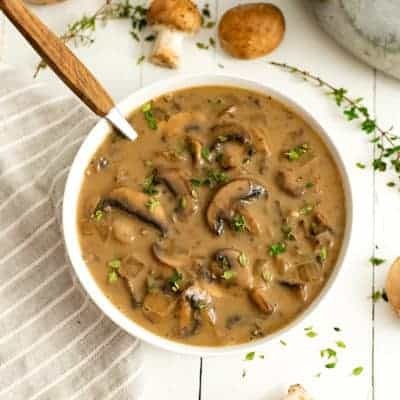 I used collagen peptides to increase the protein in these, however if you are vegetarian or vegan you can completely omit the collagen and still have the exact same end product! Also I used Enjoy Life brand allergy friendly chocolate chips for this recipe, but you can use whatever your favorite chocolate is! You can also check out how to make your own chocolate coating from protein powder and coconut oil like the chocolate I used in these dairy-free chocolate pumpkin sunbutter cups. I wanted to keep this recipe as simple as possible so I used melted chocolate instead. If you are going to melt down the chocolate chips, adding a 1/2 tbs. of coconut oil really helps them with their consistency, so don’t skip that ingredient! 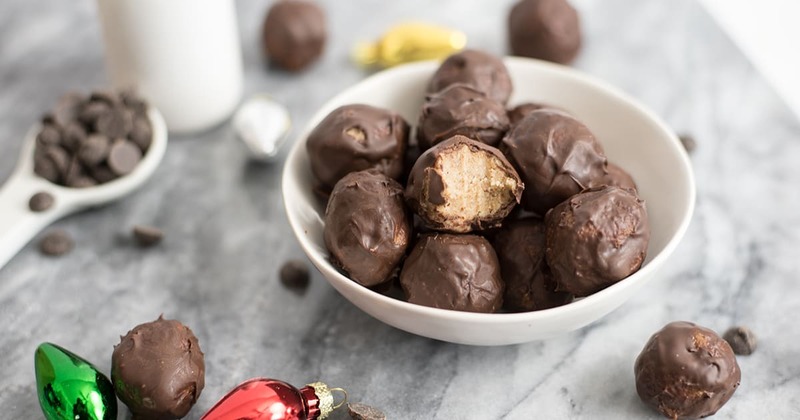 These no bake eggnog truffles are going to become a holiday favorite! Gluten free, grain free, dairy free, no bake, paleo and have a vegan option as well! Add the ground flax, coconut flour and collagen peptides (omit for vegan/vegetarian) to the wet ingredients and combine well until fully incorporated. Pour the truffle mixture into a pyrex container and place in the freezer for 10 minutes to harden. After the eggnog mixture hardens in the freezer (about 10 minutes), use a 1/2 tablespoon as a scoop, make 20 truffles out of the mixture. You will need to roll these truffles into a ball with your hands. Using a spoon and a fork, roll each truffle in the chocolate mixture, covering it completely. If the chocolate starts to harden, microwave it for another 15 seconds. Let the truffles harden in the fridge for at least 30 minutes. Enjoy! Previous Post: « BCAAs Benefits | Should you add BCAAs to your diet? This is a perfect healthy sweet recipe. Happy new year! Love this idea… eggnog with chocolate. Too good to be true. 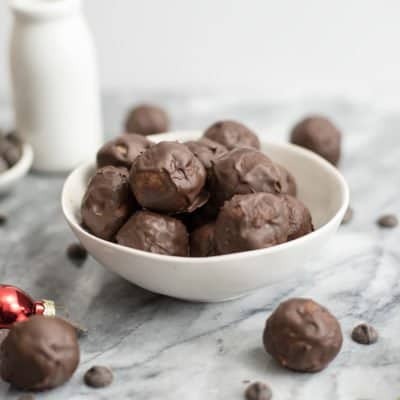 My older two boys love eggnog and truffles so I might just have to try making these with them. They sure do look yummy. Yum! I’ll take my eggnog in truffle form, please!!! The holidays aren’t the holidays without eggnog, and this is a perfect way to have it! I start my eggnog hunt in October, lol. It’s a holiday must in this house! 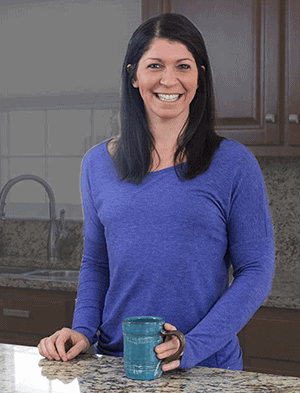 I love coconut butter and dairy free egg nog (Califa Farms is my fave!). 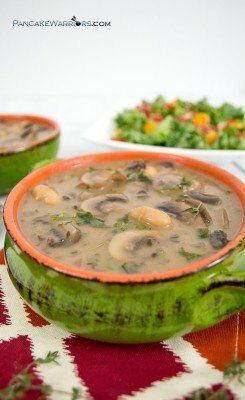 I can’t wait to try this fun and healthy recipe. They’re so yummy, Laura! Can’t wait for you to try them! “What’s better than truffles for the holidays?” …Why, more truffles of course! And so easy to make too. You might want to grab a weight or measure on those medjool dates since they other dates some people might use might only be half the size. It could potentially set the recipe way off. When it comes to eggnog more is always better! Thanks, Sue!